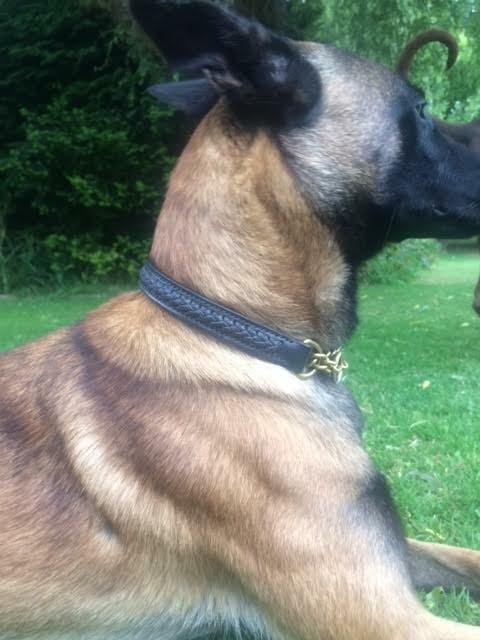 This Laced leather half check collar and lead, is a real head turner it looks absolutely stunning. 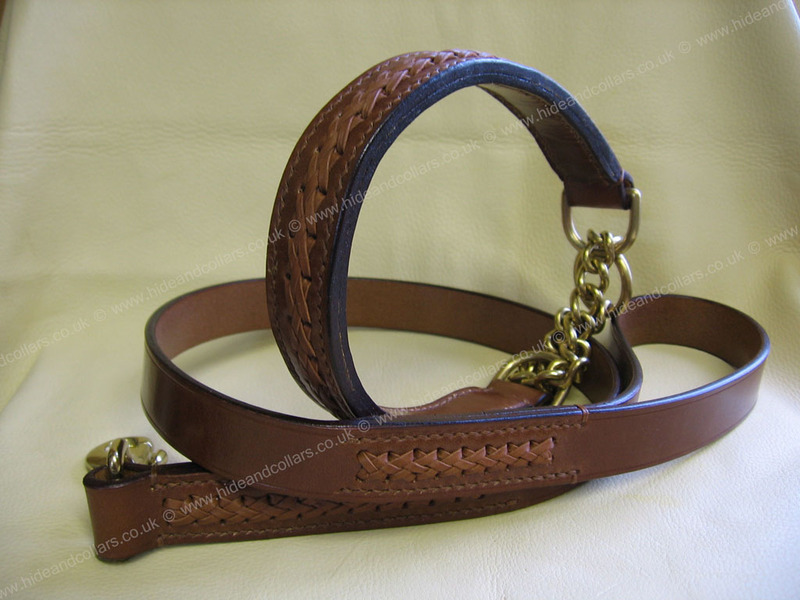 Using only the best English bridle leather is used to make this collar. 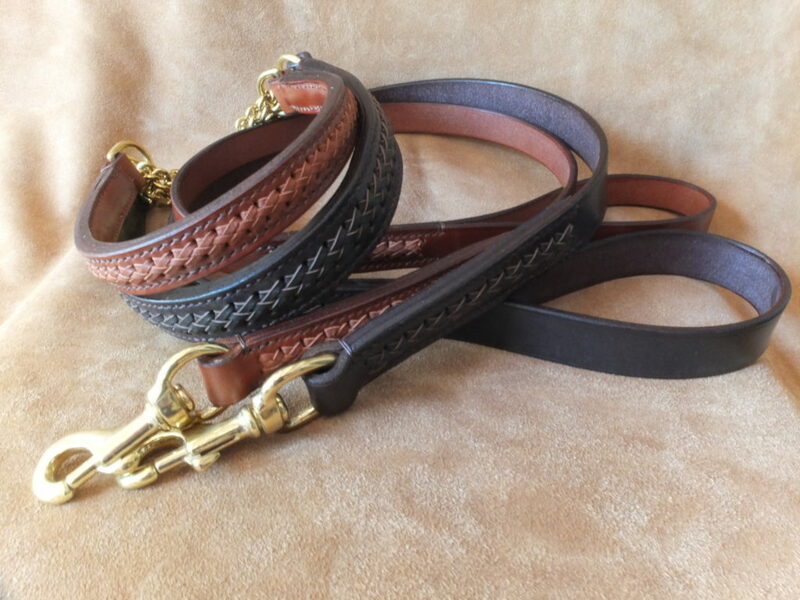 Handmade using traditional methods, hand cut and laced with kangaroo leather and then hand stitched. Available in two widths with solid brass fittings. If you need a larger size or different colour combination just drop me an email. Different leads can be found here.